Tenants – know your rental rights! Many tenants in rented accommodation simply don’t know their legal rights. This is why they sometimes put up with unreasonable situations or bad maintenance from irresponsible landlords. If you’re having issues with your rental accommodation and feel your landlord is not fulfilling their obligations, you should first of all refer to the details of your tenancy agreement. This is a legally binding document that outlines all the rental details that have been agreed between you and your landlord (including your responsibilities as well as theirs). You can also seek advice surrounding any rental disputes from your local Citizen’s Advice Bureau. To avoid landlords unfairly withholding their tenant’s deposit, a new government scheme was introduced in 2007. The scheme is called Tenants Deposit Protection (TDP) and is designed to keep deposits secure and avoid disputes. Most landlords ask for a deposit to financially protect themselves against the cost of damage or failure to pay rent. 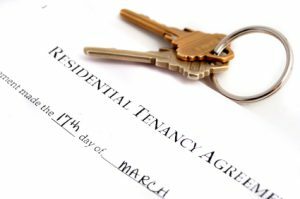 However, problems can arise when tenants decide to move out and some landlords refuse to refund the deposit, even though the tenants have stuck to the terms of their tenancy agreement. The tenancy deposit protection scheme will safeguard your deposit for the length of your tenancy, so that you’ll definitely get it back – providing that you are entitled to it. Obviously, if you have caused damage to the property or have not paid all your rent, you’ll probably not have your deposit returned. The scheme also provides a service to help sort out deposit disputes without needing to go to court. Your landlord must give you details of the scheme and information on how to get your deposit returned to you. If you are entitled to your deposit at the end of your tenancy, it should be returned to you within 10 days. It is your duty as a tenant to pay your rent on time and in full. However, if you do run into problems paying your rent there are a number of things to bear in mind. Firstly, don’t let the arrears build up – contact your landlord as soon as possible and explain why you’re having problems. For example, this might be because you’ve recently been made redundant. Write an official letter explaining the issue and ask if you can have more time to pay or if you can pay a reduced rental instalment for an agreed period. Keep a copy of your letter. You may be entitled to welfare benefits if your circumstances have changed, for example if you’ve become ill and unable to work. You may be eligible for financial aid, such as working tax credit or housing benefit – it’s worth checking. As you have agreed to pay a set amount of rent and on time, your landlord is not obliged to meet your requests. If they refuse to settle the matter with you, they might take further action to get the rent you owe. However, they are not allowed to bully you into leaving the property and will normally have to officially apply for an eviction order. It’s a criminal offence for your landlord to harass you into leaving your home, for example by disconnecting water or electricity. It’s the responsibility of your landlord to ensure you have essential services at your property i.e. electricity, water, gas. You have a right to any services that are necessary to use the accommodation as your home e.g. having heat. It is the obligation of your landlord to provide these services without any interference or interruption. Your landlord should not cut off a fuel or water supply as a result of a dispute. If this happens, it’s best to seek expert advice. Your nearest Citizen’s Advice Bureau should be able to help you. It is also your landlord’s responsibility to make sure all gas and electrical appliances are safety checked and that regular maintenance checks are carried out on them. When it comes to your landlord’s rights of entry, they’re entitled to ‘reasonable access’ to the property. What’s considered reasonable will depend on the reasons why your landlord needs to enter the property. For example, if there’s an emergency at the property, the landlord may require immediate access. In other instances, your landlord might want to pop round to inspect the condition of the property or to assess some maintenance issues. If it’s a non-emergency, they must normally get your permission and give 24 hours notice. Typically, there should be no other reason why your landlord should enter the property. A furnished property should provide you with a reasonable level of furnishing required to live in the accommodation e.g. bed, table, chairs, cooker, fridge etc… Any upholstered furniture must comply with fire safety regulations. Your landlord should compile an inventory for the property when you move in. This is basically a list of everything that’s in the property at the start of the tenancy. It will also detail the age and condition of items. Only sign this inventory if you are completely happy with the details, after all – it’s there to help avoid disputes in the future. Any items/furniture provided by your landlord will normally be covered by their insurance. However, the possessions in the house that are yours will need to be covered by your own contents insurance policy.